This coming June, thousands of industry professionals will gather at the 2019 ILTA conference to network and learn about the latest and greatest technologies and products related to storage tanks and terminal operations. Once again this year, representatives from American Heating Company will be among them! As one of the earliest members of the International Liquid Terminals Association, AHC has been participating in the ILTA conference for more than 25 years. We’re very much looking forward to this year’s event! 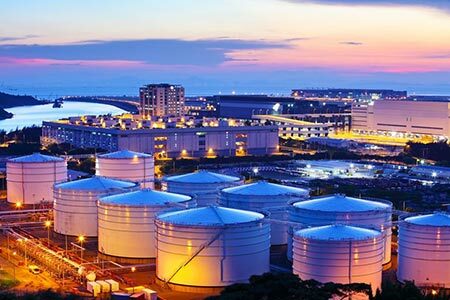 The International Liquid Terminals Association Conference and Trade Show is a renowned industry conference that brings together more than 4,500 tank terminal industry professionals each year. The conference and trade show event is an opportunity for companies to network, promote their products and services, generate leads and new business, and learn about recent developments in the industry. Now in it’s 39th year, this year’s ILTA event will provide world class educational opportunities for terminal operators and will feature more than 300 exhibitors. This year’s ILTA Conference and Trade Show will take place at the Marriott Marquis Houston in Houston, Texas on June 3-5. The annual ILTA golf tournament will be held on June 2. The conference will feature a number of informative sessions, including keynotes from knowledgeable industry professionals on hot topics. This year’s trade show will feature hundreds of companies showcasing their products and services related to the tank terminal industry. ILTA is the largest and most comprehensive event that is dedicated solely to aboveground storage tank and terminal operations. If you are involved in the industry, it’s an event you won’t want to miss! Once again this year, American Heating Company will be showcasing products and fielding questions about industrial heating solutions at the ILTA trade show. You can find us in booth 716 at this year’s event! Stop by to learn more about how our high quality, American-made thermal fluid heaters and industrial heating systems can help your plant and operations run more efficiently. Interested in chatting with us or setting up a meeting ahead of time? Give us a call at (973) 777-0100 or complete our easy online contact form to get the conversation started. We look forward to connecting at the 2019 ILTA Conference!